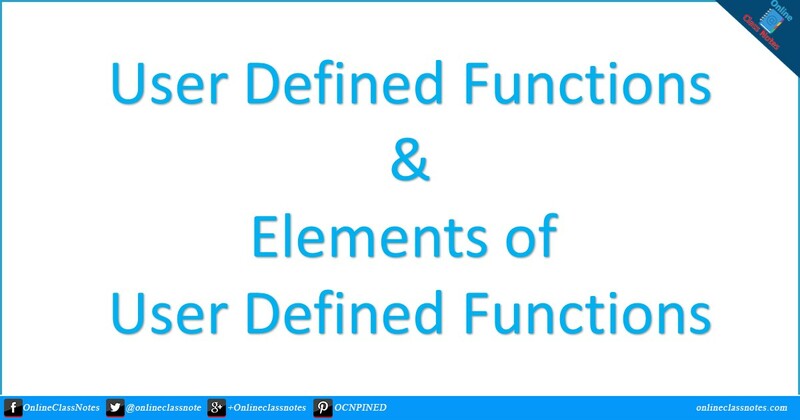 What are the elements of user defined functions? Function declaration is simply declaring the name of the function, the arguments and their types and the return type of the function. User need to declare a function prior to the definition of the main() function when the definition of the function is written after the definition of the main() function. If the user writes the definition of the function prior to the definition of the main() function then the need not to declare the function explicitly. 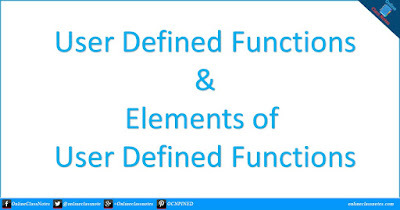 Function definition includes the parts of the function declaration along with the body or code-block for the function. User can define a function before or after the main() function. Calling an user defined function is similar to the calling of library functions, write the name of the function and provide the arguments. If you need to store the returned data in a variable, then assign this call to a variable. Read Next: What are the necessities or advantages of user defined functions?